If you live a planned life and never want to miss an appointment or skip any meeting, you must use a good calendar app. Keeping tabs on your upcoming meetings, events, and appointments is quite a task. With iPhone, managing calendar has become efficient and quick. Just a personal assistant, it keeps an eye on all your calendar events and never lets you forget an appointment or a friend’s birthday. There are many calendar apps on App Store that help in managing our day-to-day events seamlessly. Each one of them has beautiful interface and unique features that make it different from other. One of the best calendar apps, Sunrise met its demise when Microsoft decided to fold it in 2015. Sunrise was said to the best in managing calendar events and it has integration with various apps so it combined events from Facebook, LinkedIn, Foursquare and more. The smart and stylish interface of Sunrise inspired other calendar app makers to extend the wings of creativity and now we can see the influence of Sunrise in today day planners. Here is our list of some of the best calendar apps for iPhone and iPad. It allows you to view the calendar in different ways, month, week and day. It enables you to create reminders for your to-dos. Events from your Gmail such as Flight, hotel, reservations, concerts are automatically added to your calendar. You can also add your personal goals such as “go to Gym three times a week”. It will automatically schedule time for them. You can sync with all your iPhone calendars, to-do list, create notes, check weather and more. Check your schedule even if you are away from your office. It lets you add meeting and notes to your calendar seamlessly. You can prepare your notes with photos of the product that you want to buy or repair. It helps you maintain a balance between your personal and business life as you can add your appointments, meetings and also create a to-do list, write a diary, check holidays and more. You get to see your events and dated reminders on the main list. You can set reminders directly from the Reminders list or new event screen. As the app updates in Background, it allows reminders, events, and alerts to be pushed to Fantastical 2 even when you don’t open the app often. You can see the calendar in different views, your day, week, month, list of events, just tasks. Calendars 5 creates events when you just input Meet Cindy at Time Square on Saturday. You can create, edit or delete events and it will all be synced when you are online. You can create recurring events (every Tuesday, Wednesday), get reminders or set custom alerts. You can invite people to your events as well. With reminders, photos, notes and to-do lists, Informant will plan all of your events thoroughly. The app can be installed for free but you need subscription required. Let’s take a look at the features of Informant. The customisation options on the app help you differentiate between recent and future events. You can add to-do lists, memos, and reminders for the future events. You can add and edit text, attach photos to add every minute detail of your events. You can also plot your events on a Map. Time page is one of the most intuitive and delightful calendar apps. Let’s take a look at the features of Time page. It makes your day to day life productive by managing your events, maps, contacts and more. The app gives you weather forecasts, rainfall and snow so that you can plan your day. The app has an amazing and uncluttered design which enables you to take a look at whole week events at once. It is very easy to use event creation calendar app as you just need to type Dinner at Margaritaville, rest will be taken off by the app. Upto calendar has two layers. The front layer is your current calendar and the back layer includes calendars you follow on the basis of your interests and likes. You can create a web calendar for your business without the help of IT department. It gives you the excruciating details of the upcoming events to let you know what is coming. The app works with Google Calendar, Outlook, iCloud and Facebook events and other calendar events. 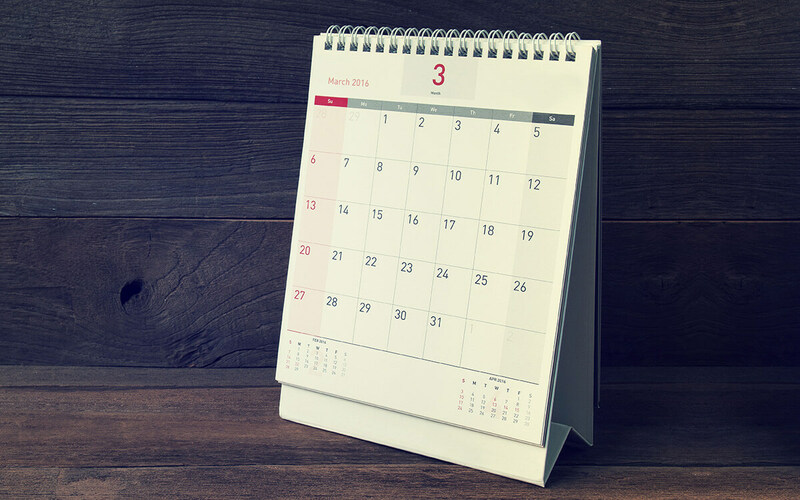 If you add an event to UpTo calendar, it will appear on your desktop or web calendar. So, this is the list of some of the best calendar apps for your iPhone and iPad. Try them out and let us know which one is your favorite!